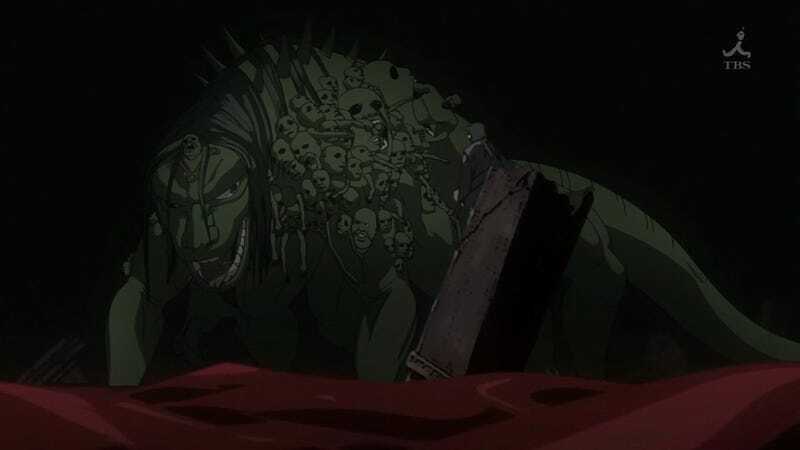 Fullmetal Alchemist:Brotherhood with her, and I feel like my brain has started to warp. We just got through episodes in which Ed, Envy and Ling are stuck in Gluttony, Envy transforms into his true form, Ed gets them out of Gluttony, and now Father has turned Ling into Greed. Ugh, just ugh. Why did I agree to watch this so soon after getting through the first series?